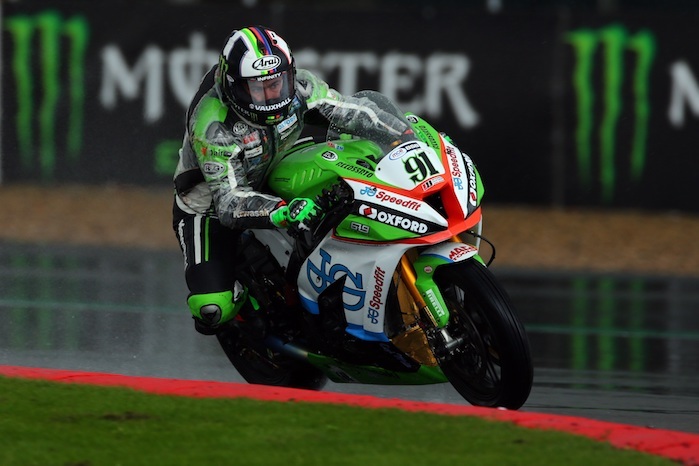 JG Speedfit Kawasaki's Leon Haslam is six points off the lead of the MC British Superbike Championship heading into the seven-race Showdown despite a tough round nine at Silverstone, Northants. this weekend. “We came here with the objective of getting as many podium points as possible but we’ve come away with three crashes. However, in the grand scheme of things it’s the first time I’ve ridden the bike in the wet and it felt competitive. Similarly, in the dry on Sunday morning we were as quick as anyone else in race one so if I could have stayed on and not started from the eighth or ninth row, we probably could have had a good weekend. "It’s not been a disaster – to have seven DNFs before round nine and still make the Showdown is still satisfying. We’ve now got to reset and focus on getting on the podium at Oulton, Assen and Brands – that’s what’s going to win the Championship. Last year I crashed twice in the Showdown and they were the only two crashes I had all year so fingers crossed I’ve put all of the bad luck behind me this weekend and I can stay on for the next three rounds.